Personal rights are a central of the trio of novels about Herod’s life and catalysts for many of Herod’s decisions. With her father and brother dying of the plague when she is 12 and the family finances at a low point, a need for one less mouth to feed causes Herod to be sent to work for her aunt in London. While she worked hard at her parents’ farm, Herod considers herself a slave at her aunt’s. The days of working class individuals, such as Herod and her families, were filled with an enormous amount of work from before dawn to late at night. Herod’s wish for freedom partially comes from this lack of any leisure. I was struck at how young children began to work. By as young as 3, children had small tasks and by 8 or 9, often were doing chores limited to older teenagers or adults today. Work from before dawn to after dark, little to eat or wear, she plots to escape. A chance comes a year after her arrival in the person of John Hicks, going to Massachusetts Colony. Her height and good looks make him think Herod is older. He proposes, she accepts and at 13 becomes a bride and soon after a mother. While at first the situation is an improvement, John’s drinking, physical abuse and three children in a row, cause Herod to go to the authorities. The problem? There are no laws against a husband beating his wife, to “teach” her, as one Colonial authority tells her. Finally, when Herod has bones broken and fears for her life, in 1665, Rhode Island’s Governor, William Coddington, condones a separation. Hicks flees with the children, but not before taking all their money and burning down their house and barn. The authorities shrug—after all, the property and the children are his. Herod remains outspoken throughout her life, pushing the boundaries of 17th century Massachusetts, fleeing from Puritan tyranny to Rhode Island Colony, where she takes a stand for the Society of Friends, persecuted in Massachusetts Colony. What we call freedom of speech and assembly was totally lacking in Puritan Massachusetts Colony. By this time, at 34, Herod has broken societal norms, made it into Colonial records and has born 10 children. The historical figures in these novels are woven well into the personal story of Herod. Jo Ann makes them very human and so real. Detailed research from England, where Herod is born, to Massachusetts and Rhode Island Colonies reveals tantalizing tidbits from the historical Herod’s life. Herod was an iconoclastic figure in 17th century Colonial America, from fighting abuse to insisting on divorce, a new concept in 17th century America, to insisting on common law marriage to speaking frankly to almost all that she met. Jo Ann’s three historical novels present a compelling view, not always pleasant, of Colonial Puritan America, difficult for so many. 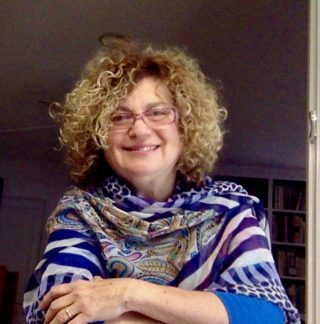 Jo Ann also develops historical characters who are strong and inspired individuals who worked hard, suffered and often gave their lives, so that the freedoms we live are part of our daily lives. Roasted Pumpkin with Cranberries and Maple Syrup is a recipe that Herod could easily have followed with available ingredients in colonial New England. Who knows? Perhaps this was even eaten at the first Thanksgiving! Perfect for a Thanksgiving side is our recipe for Roasted Pumpkin Squash with Cranberries and Maple Syrup. 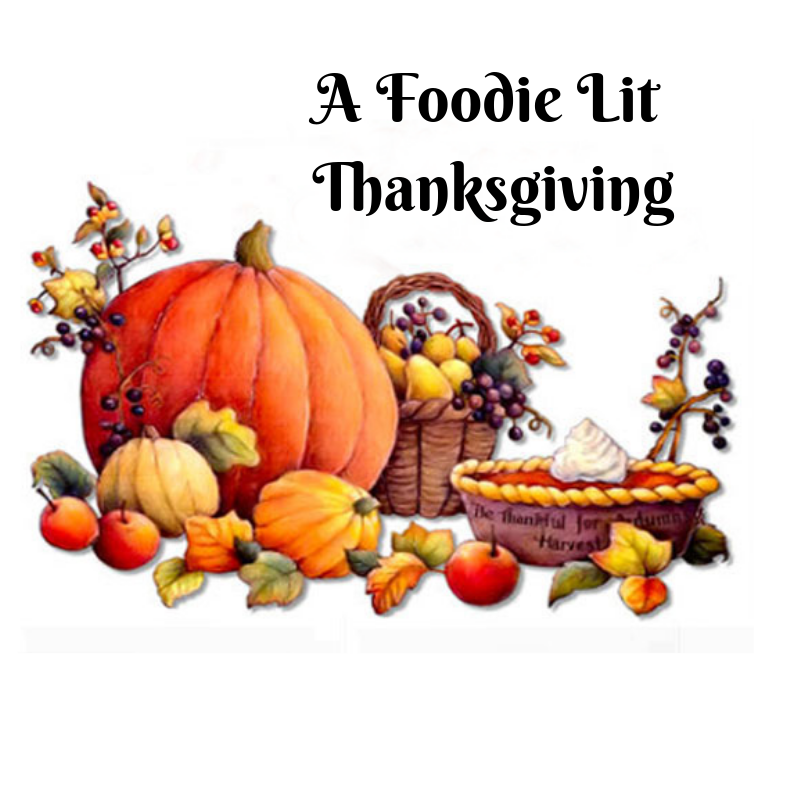 Our recipe pairs wonderfully with our Foodie Lit review, Rebel Puritan, from the time of the Pilgrims and Puritans in Massachusetts Colony. Who knows? This recipe could have been served at the first Thanksgiving! In a bowl whisk together the maple syrup and vinegar. 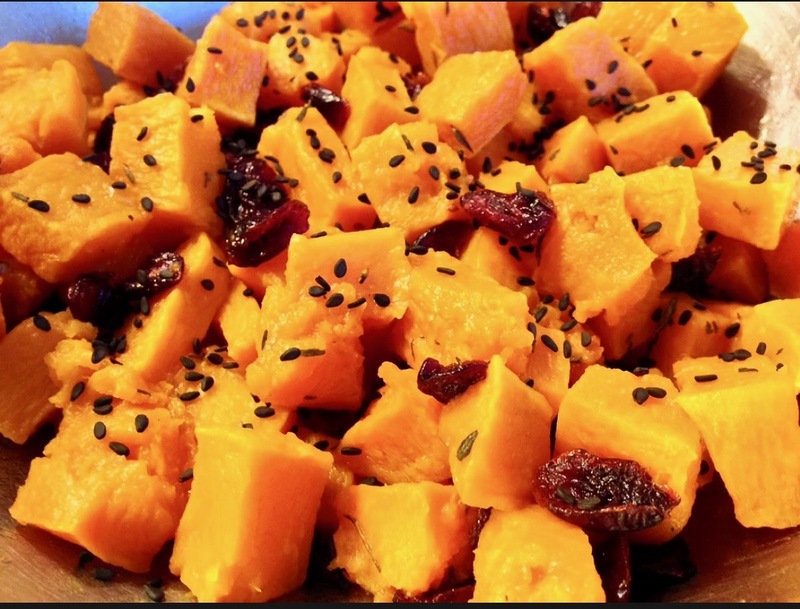 Add the cooked pumpkin and sesame seeds to the maple syrup bowl and season with salt and pepper. Add sesame seeds for an enjoyable crunch and lovely presentation. Enjoy hot as a side dish or cool and use in a salad. No pumpkins? Use acorn, buttercup or butternut squash for an equally delightful taste! No sugar please! Substitute 1/2 tablespoon Stevia in place of honey. Save the seeds! Remove pulp and wash seeds. Dry, toss with oil and salt and roast in a 300 oven for 45 minutes or until the seeds are golden. Flip after 20 minutes to ensure roasting equally on all sides. Oils? Use coconut oil for a rich taste!